The great English writer and gardener John Evelyn (1620–1706) kept a diary all his life. Today, this diary is considered an invaluable source of information on more than fifty years of social, cultural, religious, and political life in seventeenth-century England. Evelyn’s work is often overshadowed by the literary contributions of his contemporary and friend, Samuel Pepys. This new biography changes that. 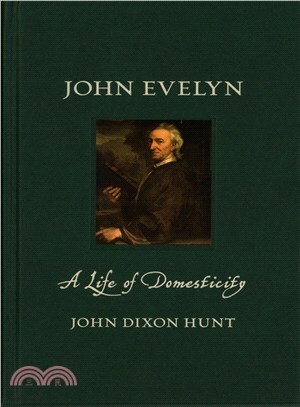 John Dixon Hunt takes a fresh look at the life and work of one of England’s greatest diarists, focusing particularly on Evelyn’s “domesticity.” The book explores Evelyn’s life at home, and perhaps even more importantly, his domestication of foreign ideas and practices in England. During the English Civil Wars, Evelyn traveled extensively throughout Europe, taking in ideas on the management of estate design while abroad to apply them in England. Evelyn’s greatest accomplishment was the import of European garden art to the UK, a feat Hunt puts into context alongside a range of Evelyn’s social and ethical thinking. Illustrated with visual material from Evelyn’s time and from his own pen, the book is an ideal introduction to a hugely important figure in the shaping of early modern Britain. John Dixon Hunt is emeritus professor of the history and theory of landscape at the University of Pennsylvania.